I am a 25-year-old mother of three little boys. and our third son, Lincoln Mark, was born in September of 2013. 1-I hope that perhaps along the way I may be able to inspire. my faith and my fears. I may be able to help someone else along their own unique journey. 2-I use this blog to keep a family record. and it was a great way to keep them informed. It still serves as a way to document our day-to-day lives as we grow as a family. 3-Blogging helps me be more intentional in my thoughts and actions. it helps me do more worthwhile and notable things. and it helps me reflect more on my life and my faith. I fully acknowledge and appreciate the divinity of Jesus Christ and His role as my Savior. I rejoice in the plain and simple joys of life. To learn more about each member of our family, continue reading below. Sam and I, Kaitlyn, met shortly after he moved into my apartment complex during college. 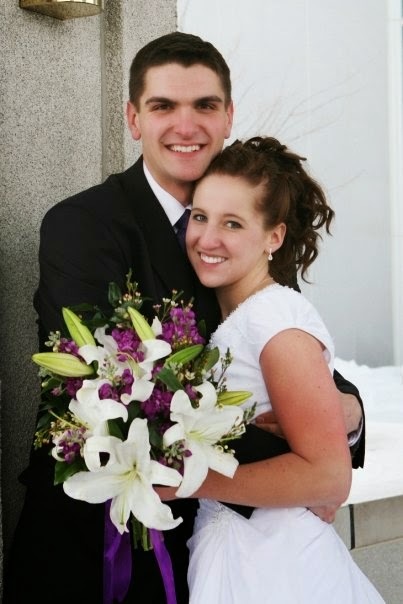 I saw him at Church and liked him from afar until one fateful night in the spring of 2008 when we shared an engaging conversation in the parking lot and he determined to ask me on a date. After a few weeks and a few dates, he left on a humanitarian aid trip to El Salvador during which time we got to know one another on a deeper, more thoughtful level through letters and e-mails. Upon his return, we officially started dating. We became engaged in the middle of a moonlit night on a mountain perch overlooking our college town in November of 2008 and we were married that December on a gorgeous snowy morning.. Sam graduated from Brigham Young University with a degree in Molecular Biology and attended graduate school in Houston, where he graduated from The University of Texas Health Science Center at Houston with a PhD in Cancer Biology. 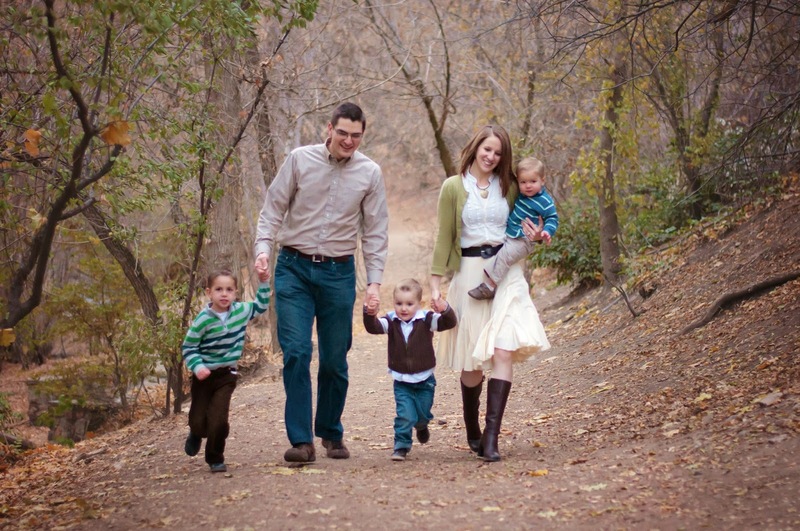 He is currently a postdoctoral fellow at the University of Utah/Huntsman Cancer Institute. I also graduated from Brigham Young University and pursued my life-long dream of devoting all of my time to caring for our family! Sam loves science (obviously), studying efficiency, learning about history, roughhousing with our three little bundles of energy, and going on our weekly dates. He also has a gift of almost never forgetting names and faces! I love untying knots, outdoor activities, simplicity, organization, music, and creating. I love finding the extraordinary in the ordinary--because I truly do believe life is extraordinary. 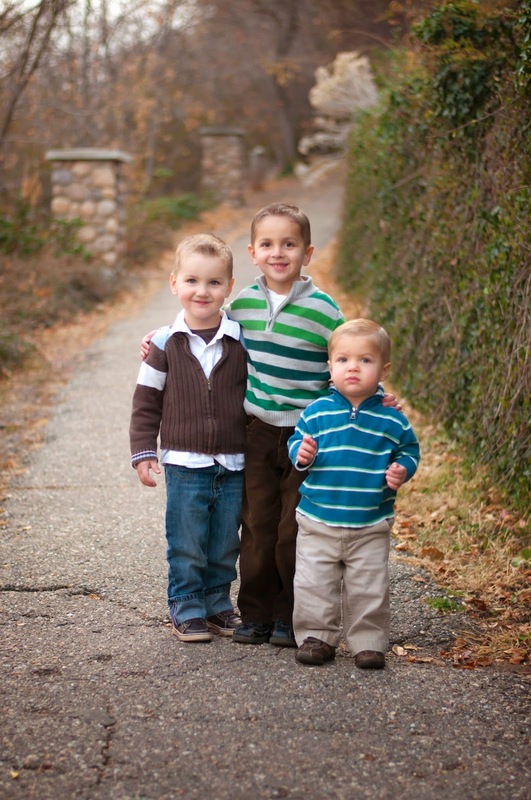 We have three little boys who fill us with complete and utter joy and continually teach us patience. Talmage, age 5, has an incredible memory and is the most social little boy I know. He strikes up a conversation with just about anyone he sees regardless of age or appearance. Wesley, age 3, loves anything to do with sports and is a great observer. He has a sweet, mellow disposition and is interested in anything Talmage is doing. Lincoln, age 1, has the squishiest little cheeks and makes us laugh every day as he learns to express himself and assert his will.